This fast-growing evergreen tree can be planted in a large space as a stand-alone specimen or kept to smaller proportions using pruning methods such as coppicing or pollarding. The foliage is often used in flower arranging. Eucalyptus amkes a useful foliage plant. Credit: RHS Herbarium. It is advisable to only buy small specimens of up to 1m (3ft¼) tall. Eucalyptus are prone to windrock and, if planted too large or when even slightly rootbound, there is the strong possibility of the top growing more quickly than the roots, resulting in a lack of stability. Before planting, do not incorporate any manure, as this will encourage too much leafy growth. Plant in a well-drained soil in a sunny position with some shelter from cold, drying winds. There is no need to stake the young plant. Stronger roots are encouraged if plants are left to develop unaided. Mulch the root area around the trunk with bulky organic matter such as garden compost and keep this area weed-free for the first few years of the tree's life. Water newly-planted specimens during dry spells while the tree is establishing (for the first two to five years after planting). After this, watering should not be necessary. Garden-grown specimens should not require regular feeding. Container-grown specimens may be grown in any good multi-pupose potting media but soil-based ones such as John Innes No 2 or No 3 potting compost are easiest to manage. Adding up to 30 percent by volume of coarse grit is often helpful. They benefit from monthly feeding with a balanced liquid fertiliser and watering as required to keep the compost moist (not damp) during the growing season. Reduce watering in winter. Repot every two years. Once established, eucalyptus needs little pruning. 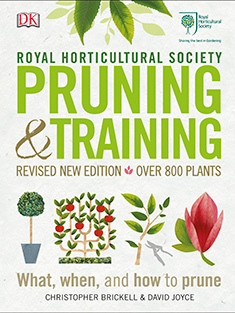 See our advice in eucalyptus: pruning for more information on pruning techniques. Eucalyptus can be successfully coppiced or pollarded to maintain a smaller plant. This is especially useful if the young foliage is grown for use in floral arrangements. Propagation is by seed, as cuttings are extremely difficult to root. This is how to achieve the best success with seed. Eucalyptus dalrympleana AGM: A fast-growing, large, evergreen tree with flaking white and grey bark. Mature leaves long and narrow, drooping, dark grey-green but coppery-tinted when young. Flowers white. Height 15m (45ft) and spread 8m (25ft). Eucalyptus gunnii AGM: A large evergreen tree with peeling cream and brown bark. The juvenile foliage is bright glaucous-blue and rounded; but the adult leaves elliptic or sickle-shaped and grey-green. Flowers white, in small clusters. Height 25m (80ft). Spread 10m (33ft). Eucalyptus pauciflora subsp. niphophila AGM: A small evergreen tree with bark flaking attractively into cream, grey and green patches. Young shoots red with white bloom. Leaves elliptic, grey-green. Flowers small, white. Height 8m (25ft) and spread 4m (13ft). Eucalyptus suffer from few problems, but look out for slightly raised swellings, about 1mm (1/16in) in diameter, on either side of eucalyptus leaves. If they are pinkish-brown galls, which are hollow and contain a tiny grub, it is eucalyptus gall wasp. The galls are most noticeable in early spring when infestations can cause heavy leaf fall. At present this pest is restricted to the London area but is spreading. However, if the swellings are not hollow (check for a tiny hole, using a hand-lens) and contain water-soaked tissue, then it is another problem called oedema. Eucalyptus are also prone to attacks from honey fungus.